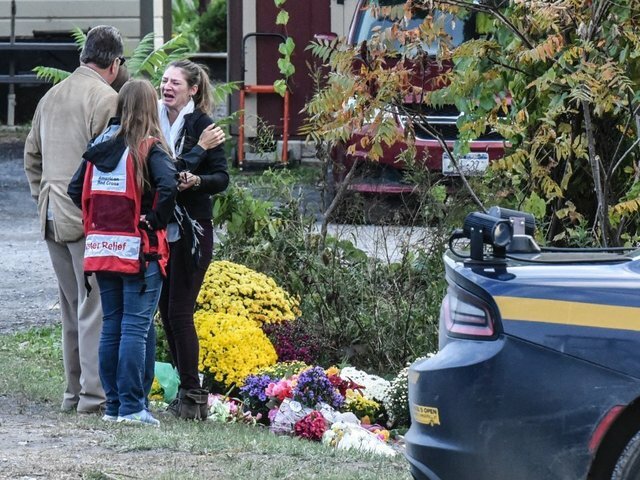 A limousine company and its owner are under scrutiny after a stretch limousine crashed in upstate New York killing 20 people . For unknown reasons, the 2001 Ford Excursion, operated by Prestige Limousine Chauffer Service, plowed through a stop sign and crashed into a parked SUV in Schoharie, New York, last Saturday. Seventeen passengers , who rented the limo for a 30th birthday party at a brewery, and two pedestrians were killed. The limo driver also died. The company's owner, Shahed Hussain, is currently in Pakistan, New York State Police said. 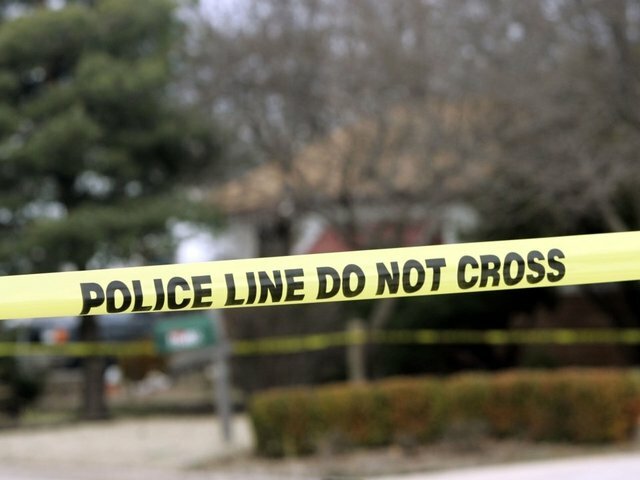 State Police arrested Hussain's son, Nauman Hussain , 28, on Wednesday and charged him with one count of criminally negligent homicide , a felony. Hussain, who was arrested during a traffic stop, is an "operator" for the limo company, State Police said. "The sole responsibility for that motor vehicle being on the road on Saturday rests with Nauman Hussain," State Police Superintendent George Beach said. Attorney Lee Kindlon, who represents Prestige Limousine Chauffer Service, said the younger Hussain, who is also his client, was innocent. Kindlon said Shahed Hussain handled the day-to-day operations, including maintenance. Nauman Hussain had "very little involvement" in the company; he handled some marketing and booking and answered the phone, according to Kindlon said. Nauman Hussain pleaded not guilty during his appearance in Schoharie Town Court Wednesday night, Kindlon told CNN-affiliate Spectrum News. He posted $150,000 bond and surrendered his US passport, according to Kindlon. Before Shahed Hussain owned the limo company, the Pakistani national was an informant for the FBI, two sources confirmed to CNN. He became a paid FBI informant in 2007 after being convicted of fraud while he worked as a translator for the Department of Motor Vehicles in Albany, New York, records show. Hussain worked in the lower Hudson Valley in New York for the FBI and was responsible for locating Muslims who may be plotting against the United States, according to records. Hussain attended services at a Newburgh, New York mosque at the FBI's direction in 2008, records show. The FBI set up Hussain with a home with concealed audio and video recording equipment, as well as audio equipment for his car. Hussain, who presented himself as a wealthy Pakistani immigrant who knew about Islamic teachings, testified in at least one federal case, records show. Will the owner return to the US? Kindlon said Shahed Hussain often travels to Pakistan for business. "He is ready and able to come back whenever they need him," Kindlon said. "His heart is broken, and his family's heart is broken. ... Anything that he can do to make this right, he'll do, and he's so very sorry for everything that's happened." The company said it has taken its fleet off the road, and the state police said this week they seized three of its vehicles, in addition to the limo involved in the crash. Soon after the fatal crash, Gov. Andrew Cuomo said the limo had failed a state inspection in September . The limo, which had been modified, wasn't supposed to be on the road, and the driver -- identified as Scott T. Lisinicchia, 53, of Lake George, New York -- "did not have the appropriate driver's license to be operating that vehicle." Lisinicchia worked for Prestige Limousine Chauffeur Service, as needed, according to Kindlon. CNN has not been able to reach Lisinicchia's wife, Kim. The law firm with which she has consulted said the family requests privacy. Asked about state officials' claims her husband didn't have the proper license, she told CBS News: "I don't know what that's about because even if he didn't have the proper license, this still would have happened. And I feel like he still would have got blamed." Kindlon said the company bought the limo already modified a few years ago. The state DOT conducted a periodic inspection last week and found "minor safety infractions," including inoperative or defective windshield wipers and a broken latch on a window, Kindlon said. Both issues were fixed, and last week, the state DOT said the limo "was roadworthy and they could drive it," he said. The attorney also disputed Gov. Cuomo's statement that the Excursion failed its inspection and Lisinicchia didn't have a proper license. The company's owner thought Lisinicchia was properly licensed, Kindlon said. The company checked with the DMV "a number of different times" and were told Lisinicchia had the right license, Kindlon said. The state DOT concurred with the governor, and federal records from a September inspection indicate the automobile was deemed unfit to drive. DOT spokesman Joe Morrissey said the assertion that the limo had been cleared to be on the road was "categorically false." "The vehicle was subject to inspections, and the owner was warned not to operate the vehicle," he said. "The vehicle was placed out of service."